What is New Relic Synthetics Monitoring? It allows us to simulate user behavior on development, staging, and production websites using Selenium, and monitor web application performance. New Relic Synthetics Monitoring collects various data points from load times, load size, failures, https status codes, downtimes, and more when running Selenium on your web application. The data gives more insight into how your web application is performing by testing from various locations around the world, and repeating the test every minute or "x" minutes. The goal of Synthetics Monitoring is to catch problems before your customers do. The Synthetics Overview page gives you enough metrics to immediately realize how your website is performing. You can look up trends for load time, availability (uptime), slowest results, and failures. You can jump straight into the slowest results and failures for a deeper analysis. The Synthetics Results page allows you to view individual monitor results. 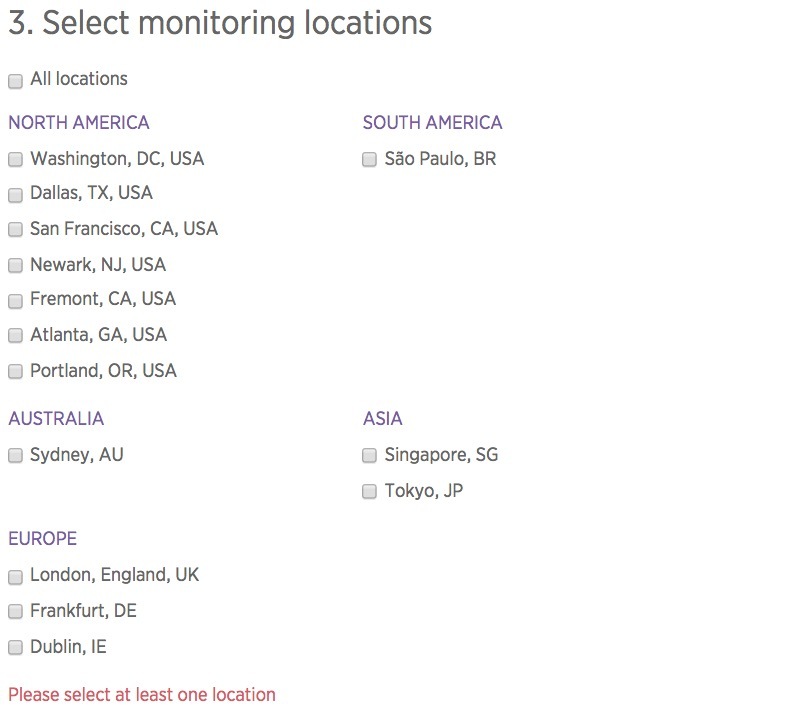 The default page setting sorts the list of identified slowest network timing (page load) for all geographic locations being monitored. The network timing graph below gives us a snapshot of how a page was performing and trending over a period (time picker filter—last 3 days). Use the Synthetics Failures page to locate and troubleshoot downtime incidents or other errors. It provides a list of violation incidents that occurred when executing monitoring type. Ping monitors check that your site is accessible. Simple Browser monitors send a virtual browser to your site to ensure it’s working for real end-users. We want our web application to operate error-free all the time, and want users to continue returning. 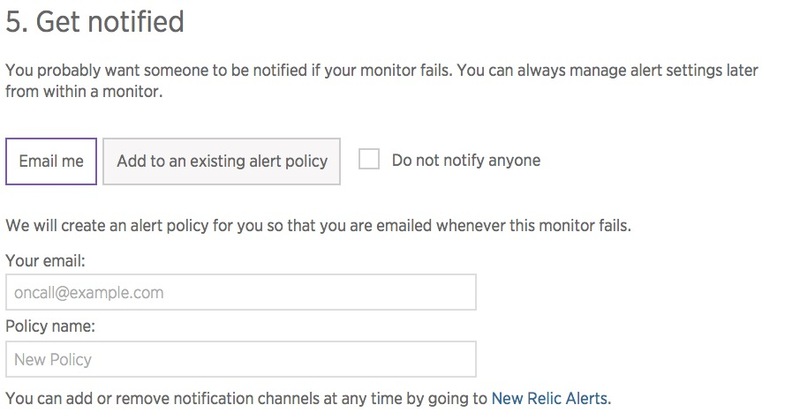 New Relic Synthetics monitoring allows us to monitor our website performance proactively in real time, and receive instant alerts when things go wrong. Then, we can make things right by troubleshooting the detailed data collected, logs, and the captured screenshot when a failure has been encountered on the site to determine how to fix the issue. 1. "Synthetics Resources: Understand load times | New Relic..."